Which is the best collagen drink in Malaysia for the year 2018 and 2019? My personal recommendation is the BElixz Maqnifiq collagen drink. BElixz Maqnifiq has 7 beneficial properties. There are so many collagen drink brands available in stores and online marketplace in Malaysia. There are collagen drink products imported from overseas and there are also collagen products made locally. With so many option available, how would you know which one is the best? The simple answer is you can’t unless the sellers publish their yearly product sales numbers. The best option is to do a research online to find out which collagen drink has the top buyers’ recommendation. High recommendation means the product is selling well and buyers are happy with their purchase. To do this analysis, I went to Lazada Malaysia because they are the largest online marketplace in the country. The following are the collagen drinks with the highest number of reviews and recommendation. 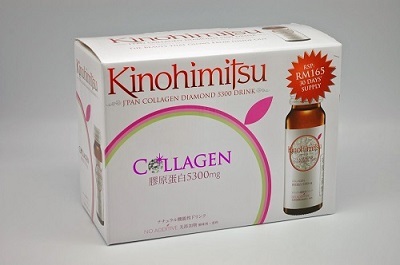 First on the list is the Kinohimitsu Collagen Diamond 5300. At the time I am writing this post (February 2018), the product has more than 16 customer reviews with 4 to 5 star ratings. This particular package comes with 16 bottles 50 ml collagen drinks and the seller is Watson Malaysia. Price wise, it is selling at RM147.00. If you are keen to make a purchase, click on the link below. 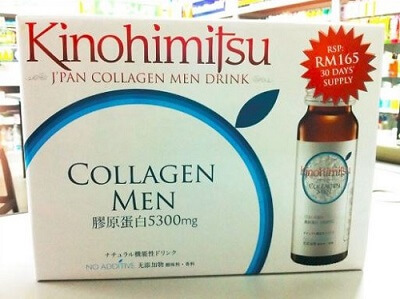 Second on the list is the Kinohimitsu Collagen drink for men. This product has 11 user reviews with 5 star rating. It comes with 16 bottles 50 ml collagen drink and is also sold by Watson Malaysia. Price wise, it is also selling at RM147.00. Next on the list is the Kinohimitsu J’pan Beauty Drink. This package has a total 19 user reviews with high 5 star product rating. 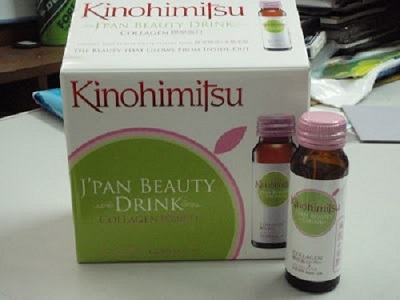 The Kinohimitsu J’pan Beauty Drink is selling at RM99.00. 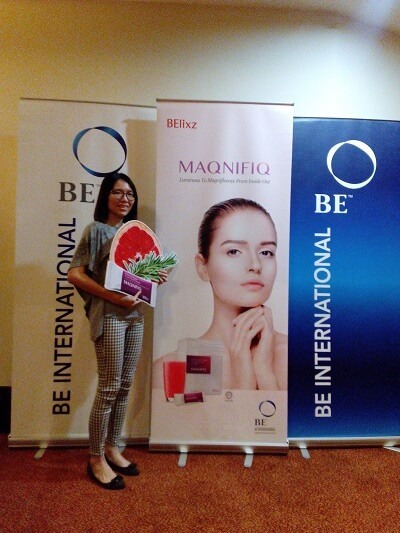 The collagen drink that I will recommend is the Maqnifiq by BElixz. 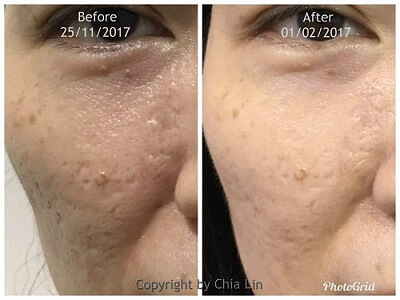 I know the Maqnifiq collagen drink works because I have experienced the positive results personally after just 7 days. Maqnifiq collagen is made from pure and concentrated level of hydrolysed collagen peptide. For additional skin protection, citrus bioflavaniods from grape fruit and polyphenols from rosemary were added into the mix. What are the benefits from drinking Maqnifiq? The following are some my personal results from consuming the Maqnifiq collagen drink. 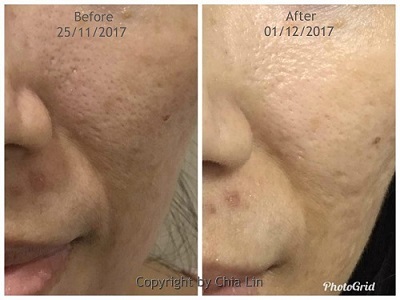 Will Maqnifiq collagen work for you? Honestly, I can’t answer your question. All of use have different skin type and different lifestyle. What worked for me may or may not work for you. But the only to know for sure is to try it. Thank you for reading this article and I hope my sharing has been helpful to you. 20/8/2018 – Attending Maqnifiq collagen drink product roadshow at Dorsett Hotel, Subang Jaya.